I think I am completely addicted to cards with folds. 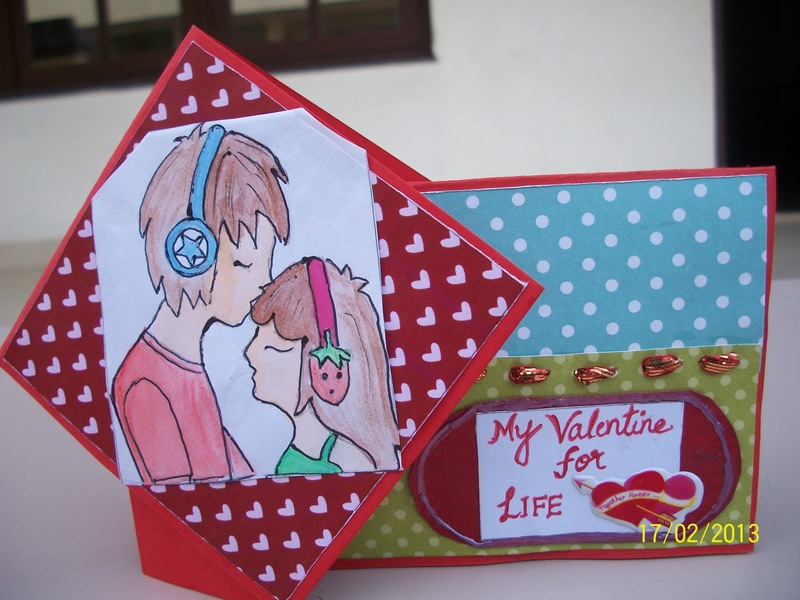 :) Am posting again one more valentine card that I have made. The picture is hand drawn and painted. Do leave back your comments. How cute your image is.The strawberry on her head is so sweet!! Lovely card and really cute image. WOW, I was surprised to read that your image was hand drawn, nicely done! Wonderful stitching too! Thanks for joining us this week at ABC Challenges!